Adrian L. Bastianelli, III is a partner at Peckar & Abramson. His practice focuses on construction claims and litigation, with an emphasis on government construction claims. He represents all sectors of the construction industry, including general contractors, subcontractors, owners, design professionals and sureties. Mr. Bastianelli also has an active alternative dispute resolution (ADR) practice. He has served as an arbitrator and a mediator on hundreds of construction disputes. He has served on numerous DRBs. Mr. Bastianelli is a fellow of the American College of Construction Lawyers and has served on its Board of Governors, as the editor of its law review, and as the chair of its ADR Committee. 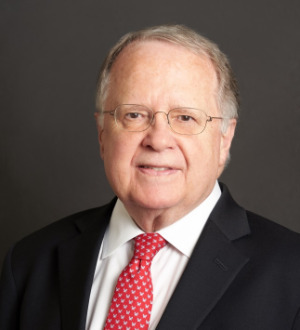 He is also past Chair of the American Bar Association (ABA) Forum on the Construction Industry and past President of the Washington Building Congress. He received the prestigious Cornerstone Award from the ABA Forum on the Construction Industry. He is active in the Associated General Contractors, having written several amicus briefs on its behalf, and spoken at its national convention and for its local chapter and served on its Federal Regulations Committee. Prior to joining Peckar & Abramson, Mr. Bastianelli was a founding partner at Bastianelli Brown & Kelley, Chtd., which merged with Peckar & Abramson. Prior to that, he served as a law clerk for the United States Court of Federal Claims, where he worked on cases involving federal contract claims. He also worked as a civil engineer for the Corps of Engineers and obtained his professional engineers license (now inactive). Mr. Bastianelli has written and spoken extensively on construction topics. He took the lead role in developing and editing the American Bar Association Forum on the Construction Industry’s book Federal Government Construction Contracts, which is the standard in the industry on that subject. For seven years, he served as the associate editor or editor of The Construction Lawyer, the law journal of the ABA Forum on the Construction Industry. Mr. Bastianelli is on the Construction Advisory Council for Thomson/West. Mr. Bastianelli is admitted to practice in the District of Columbia, the United States Supreme Court, the United States Court of Federal Claims, the United States District Court for the District of Columbia, the United States Courts of Appeals for the Federal and Fourth Circuits and the District of Columbia Court of Appeals. He received his bachelor of science from Purdue University and his law degree from the University of Louisville.